Lynn of Tulsa, Oklahoma is the artist behind these bright and pretty tulip wreaths that are distinctly spring. She offers nine different wreaths... just pick your favorite color. 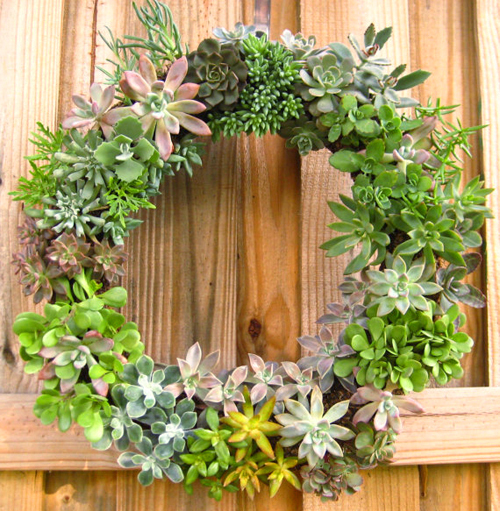 Jen Perkins of Macon, Georgia makes this wild and playful wreath. Miniature roses are accompanied by soft pink and white wisteria and the prettiest field blossoms.